We still await confirmation of former middleweight champ Gennady Golovkin’s next fight, and the new network he will fight on. As fans know, HBO is getting out of the boxing business, and GGG, who fought on the cable network, needs a new home. He also needs a new opponent. Tom Loeffler, who spoke with ESPN.com, gave us some idea of who his fighter’s next opponent might be, and Loeffler also gave the latest on just where GGG might go next in terms of a new TV network. Canelo Alvarez has of course just signed one monster of a deal with DAZN, to the tune of $365 million, over five years with 11 fights. Might Triple-G, the man many fans feel actually defeated Canelo both times they fought (instead getting a highly controversial draw and then suffering a less controversial decision loss), sign up with DAZN also? Loeffler said he has been in touch with ESPN, DAZN and Showtime (along with, intriguingly, “a different platform that is not involved in boxing right now that has expressed interest in Gennady.”) But with the mega-bucks the folks at DAZN shelled out to get hold of Canelo, will there be enough funds left for DAZN to be able to obtain Golovkin’s signature? It will certainly prove interesting seeing just where GGG goes. As for his next fight, Loeffler said GGG will likely fight again in March, or maybe, at the latest, May. And Japan’s Ryota Murata, who holds a belt at middleweight, could be GGG’s next foe – providing Murata beats Robert Brant this Saturday night. Murata, 14-1(11) is an action fighter who can punch and he is a superstar in his homeland. GGG has shown many times he is unafraid to travel for a fight and he could be going to Japan next year. It would be a good match-up and GGG-Murata would almost certainly give us an action fight – for however long it lasts. But Brant, 23-1(16) is aiming to ruin any such plans. 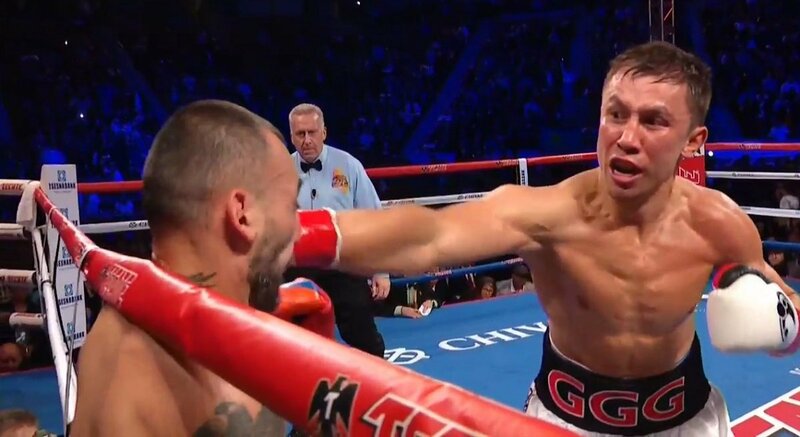 We should know more about the future of Golovkin – for many still the best middleweight in the world – after the weekend.